CHANGI GARDEN is located at 32 - 62C JALAN MARIAM in district 17 (Changi, Loyang, Pasir Ris) of Singapore. CHANGI GARDEN is a Freehold Condo development consisting of 60 units. CHANGI GARDEN is completed / TOP in 1980 (estimated), developed by MR LEE HUI CHOON. 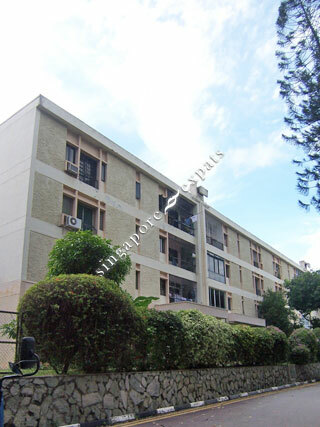 Educational institutions like ONE WORLD INTERNATIONAL SCHOOL, OVERSEAS FAMILY SCHOOL (OFS), UNITED WORLD COLLEGE OF SOUTH EAST ASIA (EAST), WHITE SANDS PRIMARY SCHOOL, EAST SPRING PRIMARY SCHOOL and PASIR RIS PRIMARY SCHOOL are near to CHANGI GARDEN. CHANGI GARDEN is accessible via nearby TAMPINES EAST, CHANGI AIRPORT and UPPER CHANGI MRT Stations. I used to stay here and the place is really quiet and access to a nice big shopping district within minutes.